NexDock 14″ laptop shell was first introduced in 2016 to help people convert their smartphones or single board computers into a laptop with a display, a keyboard and battery. The crowdfunding campaign was successful with over $360,000 raised for the projects, and the first NexDock has been shipped to 2,600+ backers. The following year, the company – now called Nex Computer – announced plan to develop NexDock 2 with support for Intel Compute Cards. 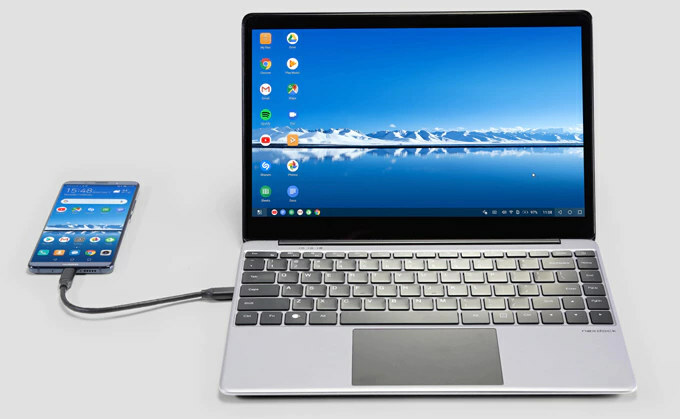 This did not quite work out as expected since Intel decided to stop further development of Compute Cards, but not all is lost as Nex Computer has now launched NexDock 2 with an aluminum body, a slightly smaller but higher resolution Full HD display, an edge to edge keyboard, and a USB type-C input port. It just works like the original NexDock, and you can plug your smartphone, SBC (e.g. Raspberry Pi), mini PC or tablet to display their content on a larger display, and use NexDock 2 as a laptop. It could also be used as a secondary display for your laptop. The laptop shell can also your phone, and supports desktop mode of compatible smartphones including models from Samsung (DeX mode) and Huawei (EMUI Easy Projection). 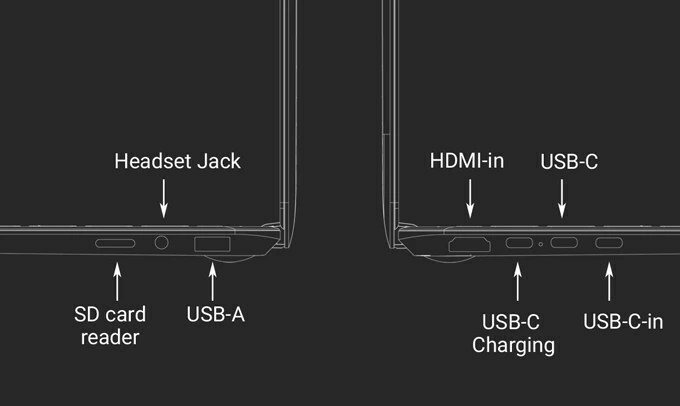 The company expects more smartphones with “Desktop mode” support, especially Android Q adds such feature natively. 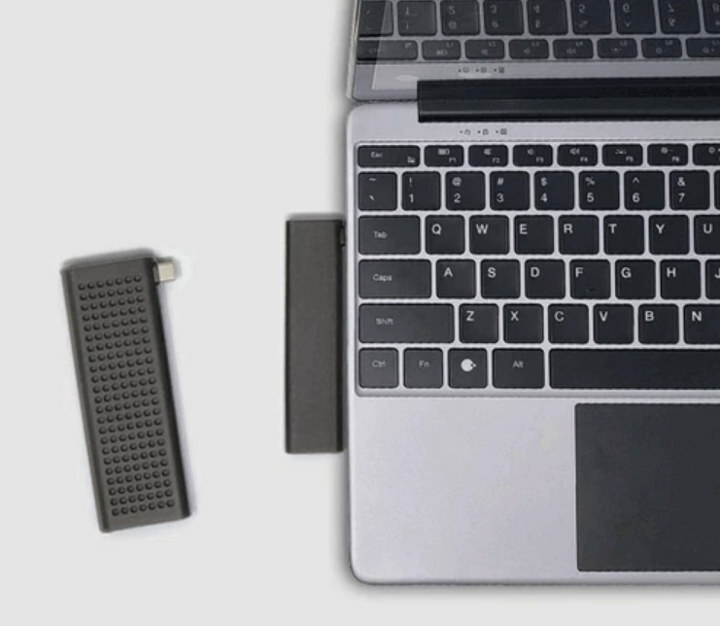 NexDock2 USB type-C port could also give birth to new USB type-C PC stick that fits nicely along the side of the laptop shell as you’ll find out by watching the video below. NexDock 2 has just launched on Kickstarter and they’ve already surpassed their $50,000 funding target in a few hours. Rewards start at $199 for the NexDock 2 “Early Bird” with the laptop shell, a USB-C Power Delivery charger, a USB-C to C cable, and a USB-C splitter cable. Shipping fees can be really expensive though. While shipping starts at $10 for Hong Kong, it goes up to $25 for countries like Thailand or Singapore, $30 for the US and some European country, and a whopping $115 for most countries including for Macau that’s a one hour trip from Hong Kong… Backers can expect their rewards in September 2019. For reference Retail price is expected to be $279.